I think there is a time in everyone's life that something pivotal happens and a spiritual journey begins. Often times we can't really see the path ahead until we are well down it. Looking back now over the years I can see it very clearly and it makes me able to trust that there is some kind of plan in place. Throughout my life, I have always believed and felt a deep sense that there was much more to my life than the life I was presently living. I was drawn to books about past lives and the insight it gave me on this life and how it affects it. There have been so many times that I have met people who seemed oddly familiar to me. It was as though we had known each other before. As life went on and I became a wife, mother, and friend to many people, I was mesmerized by the meeting of others along my path who I could feel had been one of those people to me in other lifetimes. I met a deep trance channeler, which is one who can see into past lives, and have been able to verify many of my strong inclinations of connections to people in this life who were part of my past lives. Not only did I verify what I felt I already knew, but I was also able to gain a lot of insight into how those past lives had an effect on my life today. My eldest son is an example of a clear past life connection to me. He is genuinely concerned about my happiness, he watches out for me in so many ways. His loyalty, directness, and willingness to help me is linked to being a husband in a past life. I have had many other such experiences over the years with the meeting of other souls I have known before. One of my nieces who I have known to be a close friend in a past life has also become very close to me in this life. Although I love all of my nieces, this one, in particular, has a closeness that is indescribable. In a past life session with my channeler, I learned that she and I were very best friends in a past life, she had lost her husband and I had taken care of her and helped her through a difficult time. In this present life the theme is much the same where I have had to help her and take care of her. I have several other friends who upon our very first meeting there was an immediate connection. I am always able to figure out what that connection was by the feeling or emotions that are tied to our friendship. One friend, in particular, I feel a need to take care of and look out for. During one of my channeling sessions, it was explained to me that she is a new member of our soul group this time around, which makes perfect sense that I feel a need to look out for her. Apparently, we travel with the same souls throughout many lifetimes, it isn't common, but every now and then a new soul is added to the group. Another thing I find really interesting is that this is never a one-sided feeling, they are as aware of the bond as I am. Life becomes fun and amazing puzzle as the years unfold and you can begin to see the beauty in how it is all laid out. In my life, my awareness of it began as early as age 13. I met my husband then and had a profound moment in which I was told that he would be my husband. I can't explain how I was told, whether I heard a voice, or it was just a knowing that came through as a block of thought, but there was a definite message given to me by me. I have often felt there are two of me. There is me in this life and then there is a higher part of me that I can feel speaking to me through me. I think we all have this happen, but don't pay attention to it or take it for granted. We need to learn to listen, to tune in, and pay attention to what is being said to us by us. There is a higher aspect of you with a different view who tries to give you support and perhaps keep you on track for what you wanted out of your life when you chose to come in. Sometimes your free will can throw you off track, a little bit of help every now and then can be a good thing. Believing in past lives is not for everyone. Some people like to believe that when you are dead you are dead, this never felt true to me. Only you can decide with your own intuition what feels true to you. There has been a lot of scientific proof to support past lives. The accepted scientific Law of the Conservation of Energy states that energy can not be created or destroyed but only changes form. That means that the energy that animates our lives were here before we were born and it will be here after we are gone. Some people call this energy our “soul” but the question still remains, can this energy have memories from its previous forms? There are several books written about children who recall vivid past lives and have a recall that cannot be explained any other way. Carol Bowman wrote a book called Children's Past Lives. In her book, Bowman points out that many phobias and even illnesses are cured by past life regression. She gives guidance to parents on how to deal with their child if a past life memory emerges. Most reviews of the book are 5 stars and the readers found it hard to put down. Bowman appeared on Oprah Winfrey and she had children who recalled the civil war with such detail it was astounding. They were even able to recall facts that are not in the history books but were confirmed as true. The vivid way that toddlers told the stories of their past lives and of how they died was unbelievable. After watching these videos it is hard to deny the unbelievable evidence that young children recall about their past lives. Much of the information has been verified by looking up details of what the children were able to recall. Many know how they died, who attended their funerals and intimate details that no one else could know that is not public knowledge. There is evidence to support reincarnation that is too detailed and verified to be denied. Many therapists and hypnotists who were at first in denial of past lives soon changed their opinions after repeated and consistent verified information to support it. Check out this article for more supporting information. What Effects do our Past Lives Have on This Life? Some people consider past lives to be nothing more than a fascinating past time. Others realize that the lessons they experienced in their past lives is directly affecting the current life they are living. It is believed that souls re-enter a new life bringing with them the unresolved emotions and lessons that were never resolved. 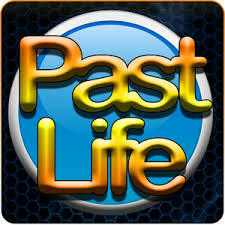 The effect that a past life is having on your current life can be lessened by recalling it. To do this, you can use meditative techniques to recall past lives and look at the lessons you were working on. There are many ways to go about working on your past life recall. Many people use hypnosis or auric readings, to assist them along with many other methods. The biggest key to recalling your memory is to look for significance to your current life. By doing this you can determine what the overall lesson was about and accept it. Once you do this and allow it to flow through you your soul can achieve the growth it was looking for. Strong emotions such as undirected anger, despair, unresolved conflicts can bring on a lot of mental and physical symptoms. Rashes, allergies, body pain, mental and emotional pain, are just a few of the issues that are connected to past lives. Many people make use of auric readings to assess the present state of their aura. There is a chart which tells you what all the colors mean. The aura can have tears in it from past traumas and get murky and cloudy in times of struggle in your life. 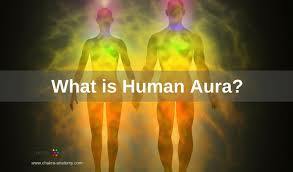 Many people get their auras assessed every 4-8 weeks. There are cameras now available that are able to photograph your aura and no longer need to rely on the keen eye of a psychic. Both methods have their advantages but as you can read in this article you will see how the participants felt about the accuracy of their readings. Many believe that there is a quickening happening within the world that is igniting a 6th sense or ability to know things that in the past we could not have known. It isn't so easy to not be in your truth or to withhold your feelings from others as it once may have been. People now are gaining the ability to sense and know the intents of others. Words are no longer necessary for communication and a whole new world of integrity and honesty is beginning to develop. Many of us may have thought that people are changing and for the better, but I believe, it is because in part, because we can no longer not be honest without it being known.